Lulupu - The Craft Lounge: Going red with something new! Going red with something new! Hello my lovely friends ! Its valou here , back with another lulupu challenge. Challenge #26 - Try Something New ! For this card, I used some paper " white Bazzil Cardstock " and some paper " red Bazzil Cardstock ". The piece of white paper is embossed with "Cuttlebug" and a file " Provocraft-Peas ". Edges are used with "Old Distresser". - Ink "Distress Festive Berries". - Ink "Distress Forest Moss". I stuck my image on a die-cut realized with a dies " Sherri Baldy ". 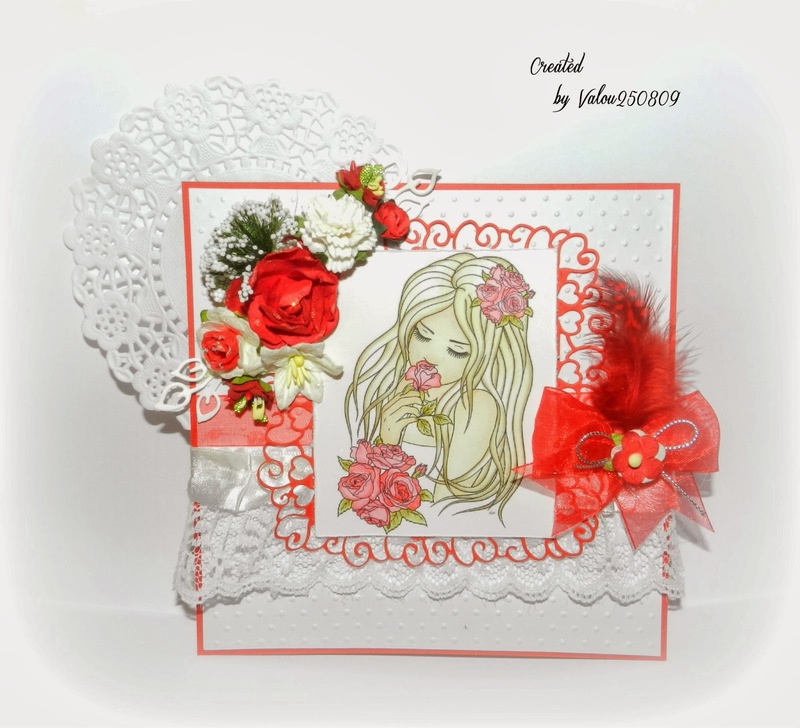 - A big red flower " Kaisercraft ". - A red and white rose (20 mm). - A white flower " Lily ". 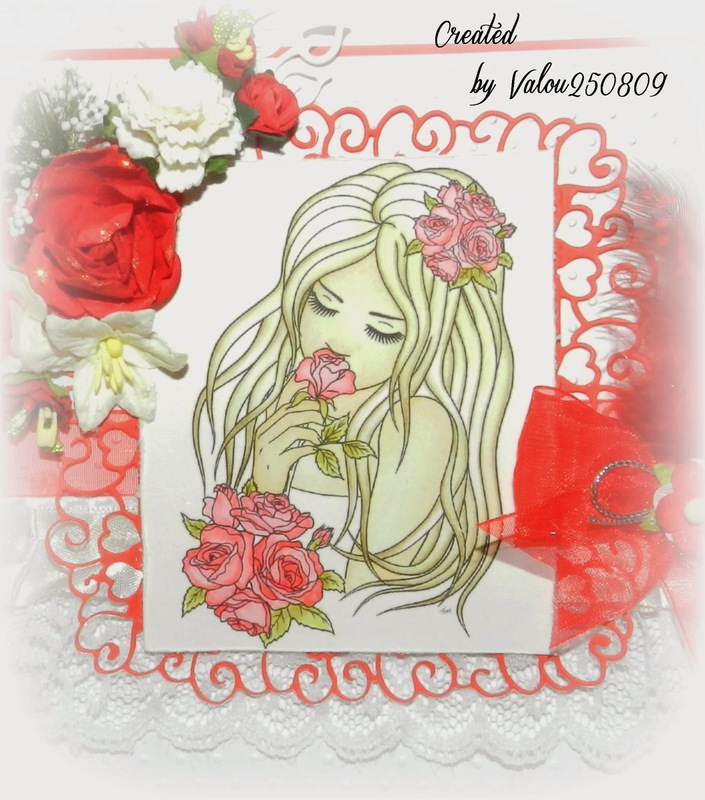 - One young red flower " Kaisercraft ". - Two red flowers with pistils. - Two die-cuts "Foliages" realized with a dies "Marianne Designs". All the flowers are covered with some touches of "Glitter Stickels Froste Lace". Under the image, I stuck of the white lace. 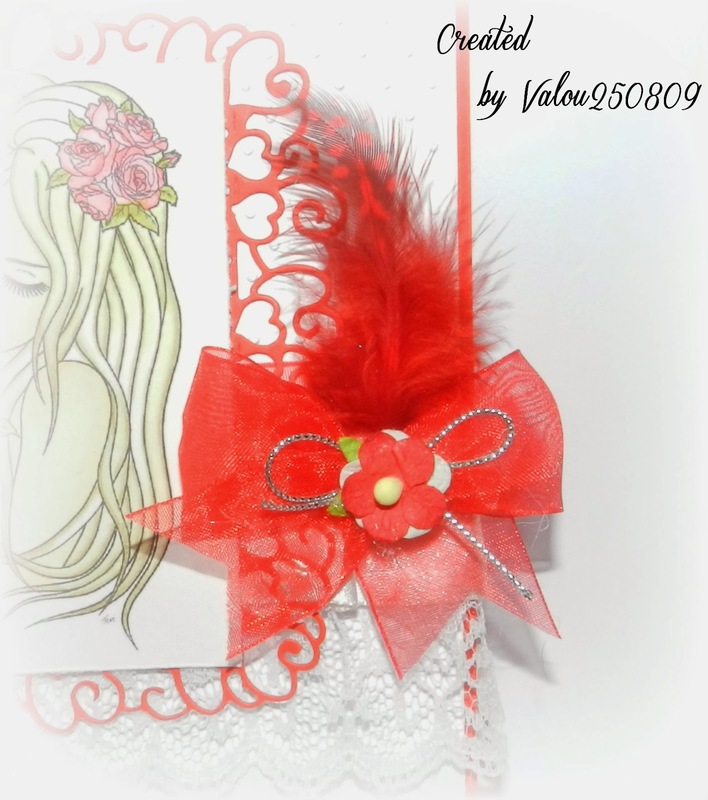 Then, I stuck a bow which I realized with a piece of ribbon " red Organza " and I decorated it with a red feather and with a red flower " Lilidaft ". Hope u like it too ! im waiting to see all your lovely makes ! Really beautiful. Specially how skillfully you've used so many diff items together. image is very adorbale..beautiful card !! Lulupu challenge # 26 - Try Something New ! 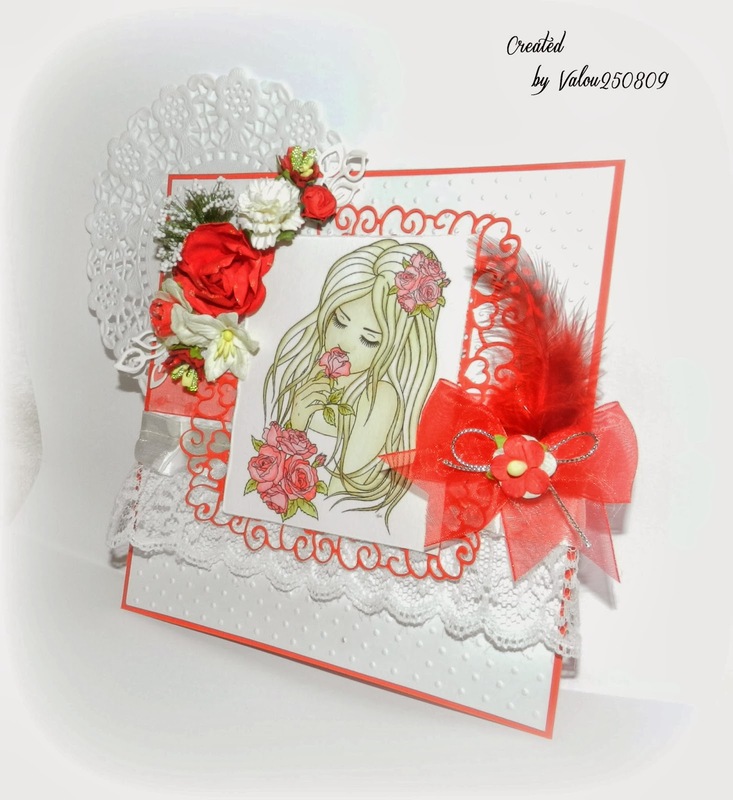 Valou - Challenge # 25 - Oh So Lovely ! Winners of Challenge#24 - "Scrap Your Scraps"
Blooming and new DT Hussena!